Fog is a photographer’s ally. 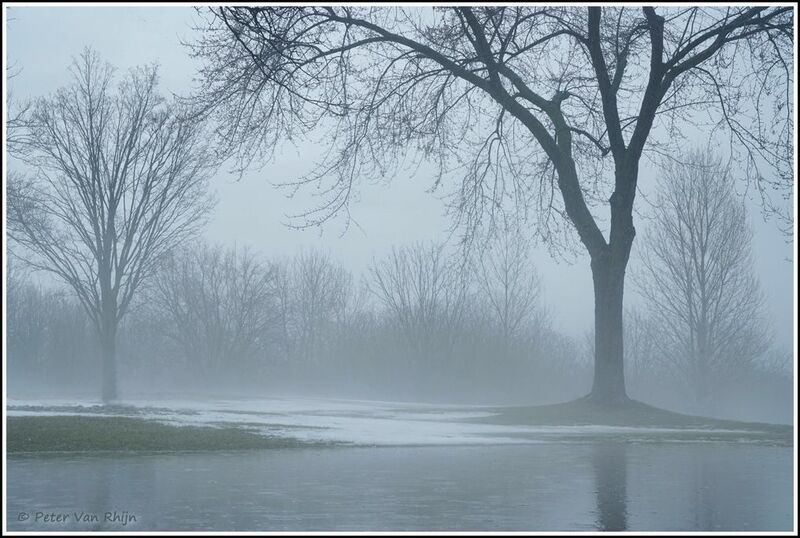 Fog provides the key Ingredient for great images: Simplicity. It hides distracting backgrounds. Fog adds depth to an image because foreground subjects are sharp and crisp, while background subjects are veiled by mist. Finally fog adds an emotional component which may vary from viewer to viewer. I spent much of my first life kayaking foggy Dutch canals, so cool fog makes me feel warm and fuzzy. In this image the aforementioned Ingredients are present plus the big tree is in the strong right vertical line. On either side there are trees that add balance to the composition. Sony @7r M2, Lens: FE 24-70mm F4 ZA OSS, ISO 500, f 14, 1/340th sec. ; hand held.